Whilst Spain disastrously conceded a late equaliser to Ronaldo's Portugal after leading the game 3-2 for about half an hour, Iran dramatically won their first World Cup game since France 1998 against Morocco. This game is a test of Iran's resolve and Spain's ability to dig deep and cut through the deep defence that Iran will set up with. Isco and David Silva looked on fire against Portugal and will want to get off the mark in this World Cup soon. Costa was also impressive and bullied the Portugese defence and is likely to do so again so it wouldn't be a bad bet to predict Costa will add to his tally of two. 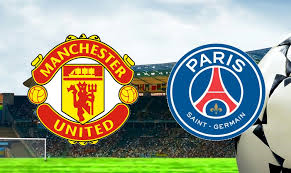 David de Gea will also hope for a quiter game after his shockingly poor mistake for the second goal and did give Ronaldo a lot of space to shoot into, something he has been criticised of doing previously for both Dimitri Payet in 2016 and Gylfi Siggurdsson in 2017 for United. As for Iran, they must hope and pray not to concede early on as that may work in Spain's favour as they will pass around the Iranian players and tire them out before the second half. They will have to defend deep in banks of four or five and aim to attack on the counter with the pace they have up front. The coach has defended the Spaniard, who just made an error at the wrong time and should start against Iran He is an outstanding goalkeeper and who knows, perhaps he was getting all the mistakes out of the way and saving his best for the knockout rounds! I doubt there will be any changes to the defenders as Nacho did well enough to keep out Dani Carvajal. The Spanish side were average against Portugal but should really have no threat from Iran. Busquets got two assists against Portugal and was solid as a rock as the anchor of the midfield three. Iniesta showed his timeless class against Portugal, regardless for how long. He will bow out of this World Cup a Spanish legend, regardless of where Spain finish. Koke kept the tempo of the Spanish midfield ticking, despite never really being the star of the show, he is a solid player with a good delivery from wide areas and should retain his position. Both playmakers are fantastic talents and will retain their positions and Costa was too good against Portugal to swap for Aspas or Rodrigo. They will all be crucial for breaking down Iran. This could be tough if Spain are impatient but if Iran sit back then it could play into Spain's hands as they will pass them to death. If Spain score early it could be any result and should claim their first win in this World Cup to Iran's dismay.